Bravo’s unique programs support music students in primary, middle and high school. For example, Bravo underwrites music lessons, supplies loaned instruments, and funds programs and after-school clubs. Putting instruments in the hands of young musicians is at the core of Bravo's mission. We have collected, purchased and distributed hundreds of gently used instruments, which are cleaned, repaired and inventoried by the District and assigned to students. 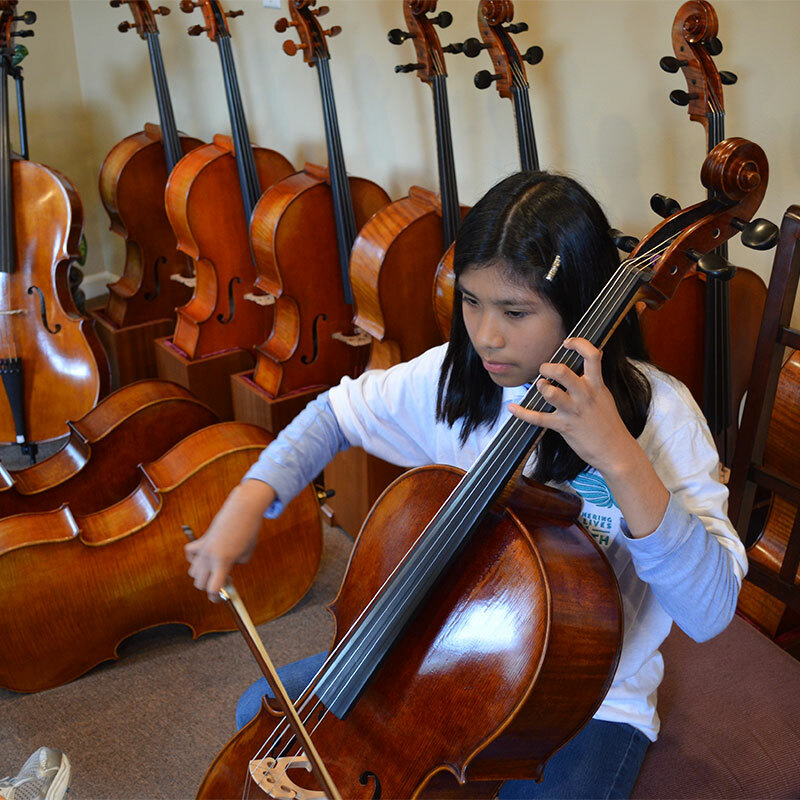 Through Bravo’s Own Your Own program, we coordinate the purchase of instruments at cost for students who are ready to buy one. Bravo also purchases equipment, such as choir risers, music cases, and racks for marching band uniforms. 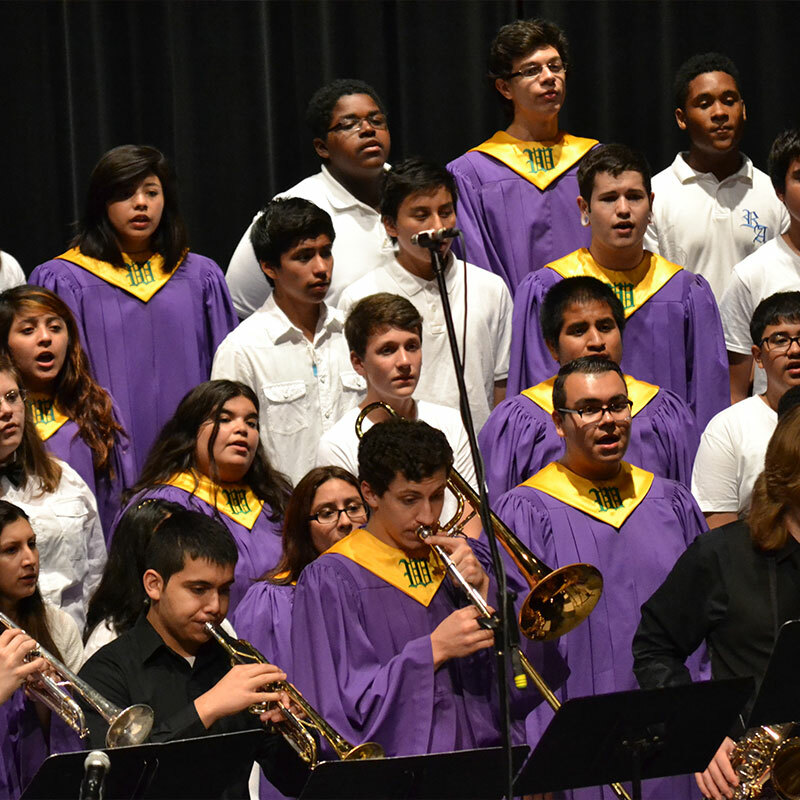 Waukegan school’s music groups and after school clubs receive financial support as needed. The number of students interested in music keeps climbing. Bravo is constantly seeking donations of new and used musical instruments, filling the needs of school bands and orchestras. Please consider donating that instrument collecting dust in the attic. 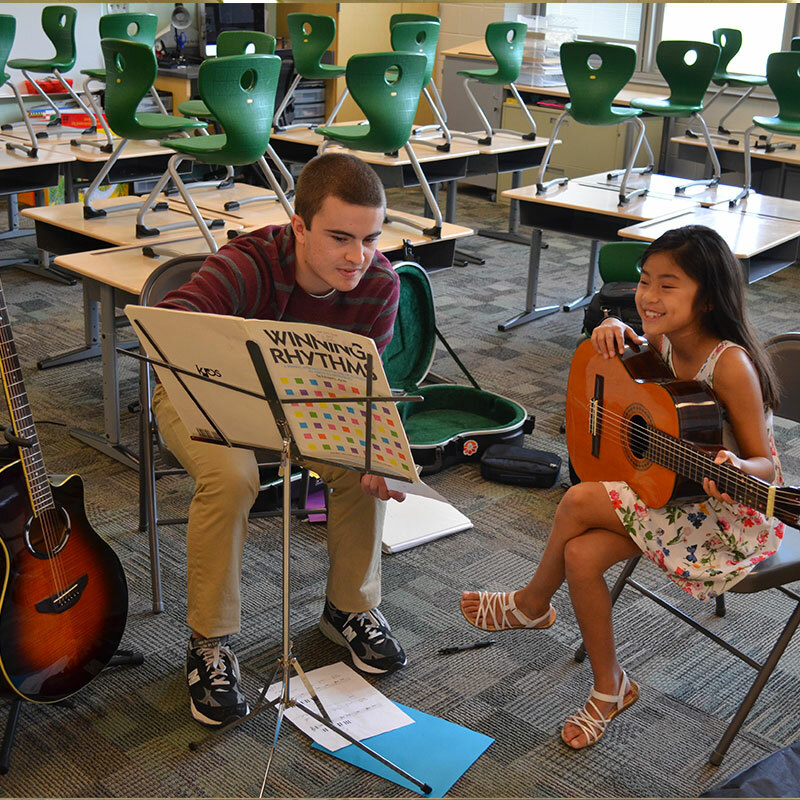 Bravo Buddies is a 4-week summer music camp offering one-on-one music instruction to any interested Waukegan elementary or middle school student. For many, this is their first experience receiving private lessons. Bravo Buddies teachers are musically talented college students, college graduate music education majors and local high school students. Teachers not only teach, but serve as mentors who inspire our campers. 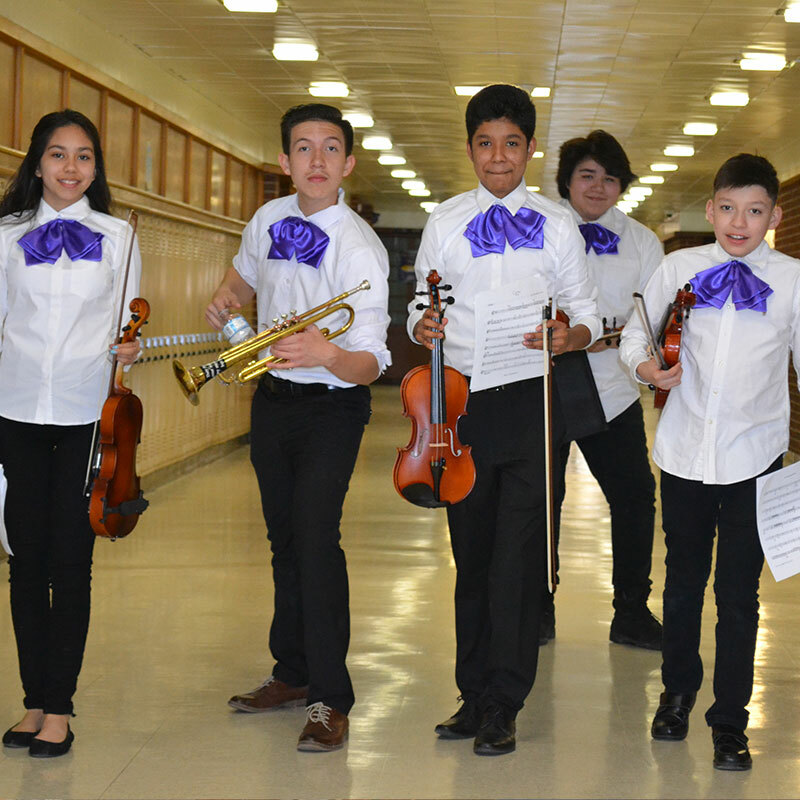 Through Mariachi clubs, Bravo helps provide culturally relevant music enrichment after-school. Bravo launched the Mariachi program in Waukegan and is involved in expanding it to more and more schools, both elementary and middle. Mariachi encourages music students to deepen their education by taking on an additional music class and for others it is their first time picking up an instrument. The atmosphere in the classroom is fun and lively. Mariachi students are frequently asked to perform in public, thus building confidence and pride in their music and heritage. Bravo offers access to the cultural arts by providing bus transportation and tickets to music students and teachers. 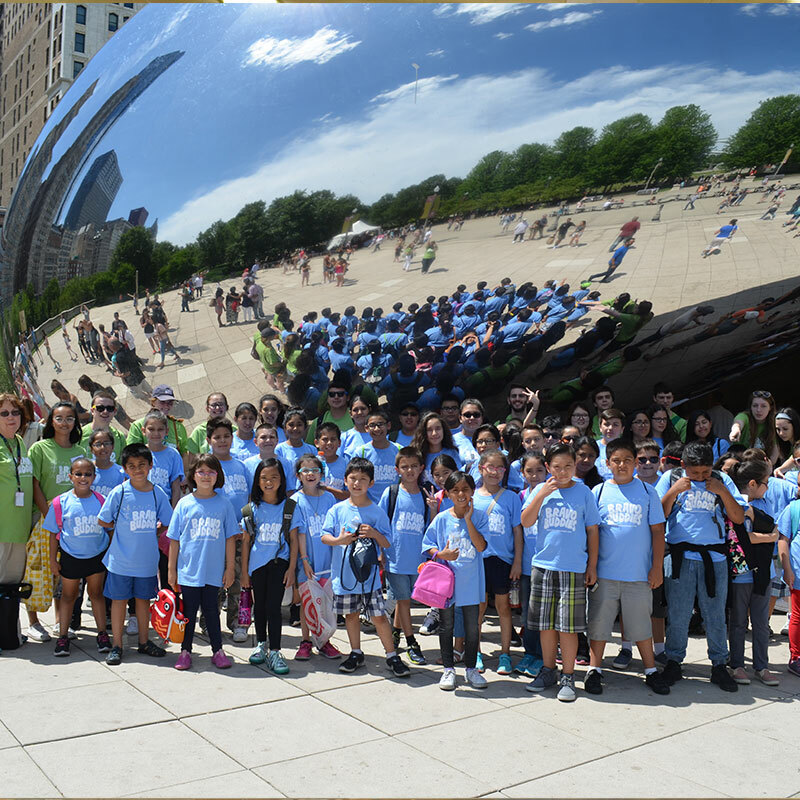 By partnering with Ravinia Festival, The Lyric Opera, The Art Institute of Chicago, Field Museum, Lake Forest Symphony, to name a few, students are exposed to the rich cultural life in Chicago and the North Shore. In addition, high school students are given scholarships so they may attend summer music camp out of state, and locally we underwrite private musical instruction for those serious. For music faculty we provide professional development throughout the year. Bravo makes it possible for over 1,000 students to come together and perform at a professional venue, the Genesee Theatre in downtown Waukegan. This annual spring concert spans two nights and showcases the rising talent in the schools. Other sponsored concerts include Mariachi Festival and Cinco de Mayo performances, Lake Forest Day Parade, Lake County Fair, and Fiesta Ravinia in September. We believe that performing before an audience is essential to learning music; our students perform throughout the year demonstrating their musical accomplishments.